QTest Laboratories’ Dr. Carlos del Rio, Ph.D. recently demonstrated Houston-based Procyrion, Inc.‘s Aortix, a catheter-deployed, intra-aortic circulatory assist pump for ambulatory use in treatment of chronic heart failure, at the American College of Cardiology’s 64th Annual Scientific Session and Expo (ACC.15) 2015 held at San Diego last weekend. Columbus, Ohio based QTest Labs is a pre-clinical contract research organization that specializes in cardiovascular safety, complete risk assessment, and the ex/in vivo evaluation of physiology, electrophysiology, toxicology, and pharmacology in both normal and diseased models. Via a patent-pending paradigm and the extensive scientific expertise, the company’s objective is minimization of lead-time bringing a product to market, focusing on cardiovascular risk while increasing functional understanding of the test article or device. QTest Labs provides comprehensive cardiovascular research and development solutions to pharmaceutical and biotechnology companies, with its studies covering a wide range of species in both normal and diseased models, (for example: heart failure, hypertrophy, diabetes, systemic and pulmonary hypertension, orthostatic hypotension, hemorrhagic shock) that occur commonly in people. In contrast to more limited studies based solely on regulatory guidelines and a fixed set of assessment tools, QTest Labs endeavors to incorporate truly predictive efficacy and safety testing that goes beyond those constraints. Employing the firm’s unique, patent-pending paradigm, a world renowned staff of scientists, and state-of-the-art facilities, QTest Labs is well-positioned to offer services customized to meet their clients’ knowledge needs with comprehensive, thoroughgoing efficiency and expertise, promising to deliver seamless, cost-effective and accurate results establishing the safety and efficacy of a tested product. In his poster presentation at ACC.15 last Saturday, Dr. del Rio highlighted his research on the acute cardiorenal benefits and improved ventriculo-arterial coupling of Aortix during a session entitled “Stage D and Beyond: Advanced Heart Failure, Mechanical Circulatory Support and Transplantation,” accompanied by abstracts at presented in 46 topic areas focusing on the prevention, diagnosis and treatment of cardiovascular disease. 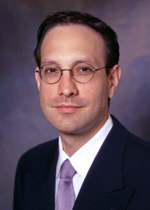 [adrotate group=”15″] The research on which his presentation was based was conducted by QTest labs in sheep with ischemic chronic heart failure, demonstrating that Aortix reduces heart workload and decreases oxygen demand, which may help improve heart rest and healing while dramatically improving kidney function. “These results exceeded our expectations and is further evidence that Aortix could be used to support the failing heart before years of progressive damage occur,” comments Procyrion Director of Research and Development, Will Clifton, MD, in a release. 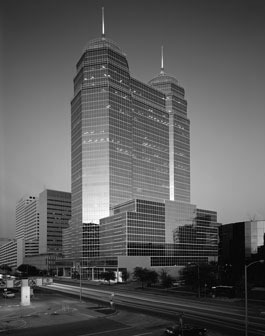 Conceived by Dr. Reynolds M. Delgado III, Medical Director of Mechanical Assist Devices in Heart Failure at the Texas Heart Institute and CHI St. Luke’s Health, Baylor St. Luke’s Medical Center, and an Assistant Professor, Medicine-Cardiology at the Baylor College of Medicine, Aortix is expected to provide another treatment option for millions of chronic heart failure patients too sick for medication alone to be effective. Dr. Delgado is an accomplished researcher, teacher, and author who has had a long-standing research collaboration with the NASA Johnson Space Center human space flight physiology laboratory, as well as an stablished practice in prevention of cardiovascular disease. He is recognized as a leader in the field of artificial heart devices, co-founder and President of the Houston Heart Failure Society, and a transplant service member of the Texas Heart Institute. Dr. Delgado created the heart failure clinic program at Baylor St. Luke’s Medical Center, and is on the Transplant Medical Review Board there. As a result of his extensive experience in the heart failure and transplant arenas, he was one of 43 physicians worldwide asked to develop the Guidelines for the Care of Heart Transplant Recipients by the International Society for Heart and Lung Transplantation. He also authored Mechanical Circulatory Support in Patients with Heart Failure, included in the definitive textbook, Heart Failure: A Companion to Braunwald’s Heart Disease. A device thinner than a #2 pencil, Aortix consists of a small, continuous flow pump mounted within a self-expanding anchoring system. Aortix is delivered via a catheter inserted through the femoral artery to the descending thoracic aorta and is secured in place using novel self-expanding anchors that deploy to fix the pump to the aortic wall. The pump’s small size and unique design enable placement to be as quick and simple as a ten-minute outpatient procedure. Following deployment, the catheter is fully removed, leaving only the anchored pump and a small diameter, flexible electrical power wire that can be routed to a desired transdermal exit site or to a Transcutaneous Energy Transfer (TET) system for subcutaneous implantation without an indwelling power lead. Compared with traditional LVADs, the Procyrion device can in some cases replace a major surgery procedure and a lengthy hospital stay with a minimally invasive outpatient procedure. For nearly half a century, the focus of circulatory support research has been on replacing the function of ailing hearts. That emphasis has resulted in development and deployment of large, cumbersome surgical devices that provide full circulatory support. However, Procyrion cites recent clinical evidence suggesting that with partial circulatory support devices (B.P. Meyns et al. / European Journal of Cardio-thoracic Surgery 39 2011 693698) and cardiac resynchronization therapy devices (Sutton et al. Circulation. 2003;107:1985-1990), class III heart failure patients can benefit from partial circulatory support. The Procyrion Aortix device seeks to reduce afterload and workload of the heart, and to increase end-organ perfusion. Combining these factors can provide potential for rest and healing of the heart, improving patient quality of life, and reducing the personal, social, and economic cost of heart failure. Procyrion’s cardiologist-friendly, minimally invasive cath-lab tool, and outpatient deployment procedure can dramatically reduce procedural risks compared with full support circulatory assist devices that require invasive surgery and 40 days of in-hospital recovery time on average. Unlike some competing circulatory assist devices, the Procyrion device is deployed downstream of the heart, eliminating risk of damaging the heart or valves, and simplifying the deployment procedure. Procyrion notes that thrombotic stroke is single biggest risk for patients associated with circulatory support devices, and that up to 40 percent of patients with surgical ventricular assist devices end up having strokes. Many of these patients who are awaiting a heart transplants will no longer be eligible because of the stroke. 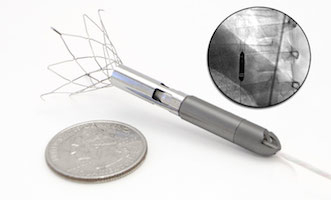 Because the Procyrion device is deployed downstream of the carotid arteries that supply the brain, risk of thrombotic stroke is minimized, and downstream thrombotic events are also unlikely since the Procyrion device functions in series with the heart, without disrupting native pulsatile flow that minimizes stasis, since the device is continuously flushed with high volumes of native blood flow. Because traditional cardiac support devices replace the heart’s function of, as opposed to supporting native heart function pump failure in the device is nearly always fatal. However, in the unlikely event of Procyrion pump failure, the device’s small diameter does not obstruct native blood flow and therefore, its presence will not result in a life-threatening event. Additionally, if the pump fails, the system can be easily retrieved and replaced using standard catheter based procedures. Traditional circulatory assist devices are deployed across a valve or bypass entire segments of native circulation by plumbing one inch holes in the heart and aorta. By contrast, Procyrion’s intra-aortic pump uses a small-diameter axial flow pump and fluid entrainment (aka “jet pumping”) to entrain and efficiently transfer energy to the native aortic flow. The device supports the heart’s natural function rather then fully replacing it. Procyrion’s intra-aortic pump utilizes fluid entrainment to augment native blood flow resulting an acceleration of fluid, a net increase in cardiac output, and reduced workload reduction for the heart through afterload reduction. The company says this partial support system is well-suited to patients in NYHA Stage III – early Stage IV heart failure who don’t need full cardiac replacement. In addition, the device’s novel fluid entrainment approach enables an extremely low profile design, rendering it suitable for minimally invasive, trans-catheter deployment and retrieval. Procyrion also notes that fluid entrainment has been used extensively in mining, refrigeration, in-line mixing, and other industrial applications to promote efficient mixing and flow. 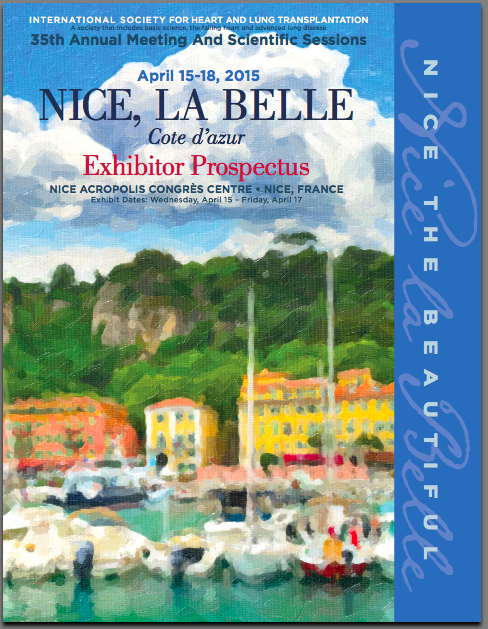 Procyrion has been accepted to present at the International Society forHeart and Lung Transplantation’s 35th Annual Meeting & Scientific Session in Nice, France April 15-18, 2015.